With most local gardens gone dormant, even the most avid gardeners are relegated to sitting in their easy chairs with a cup of tea, corrected or not, turning down the corners of pages in seed catalogs, populating fantasy gardens to come. Many will have collected seeds from their own gardens to plant next year, and those folks will not want to miss this Tuesday's InFARMation (and Beer!) event. 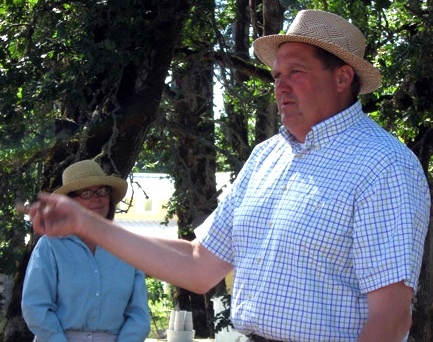 It will feature GoodStuffNW's esteemed contributor Anthony Boutard of Ayers Creek Farm holding forth on one of his favorite subjects, the challenges and rewards of producing seed, as well as other methods of propagating crops. Even if you're only an armchair gardener, I guarantee Anthony's presentation will have you looking for a plot (or a pot) to garden in. Details: Anthony Boutard of Ayers Creek Farm presentation at InFARMation (and Beer) for Friends of Family Farmers. Doors 5:30 pm, presentation 6:30 pm; free. Meeting at Holocene, 1001 SE Morrison on the corner of SE 10th and Morrison. 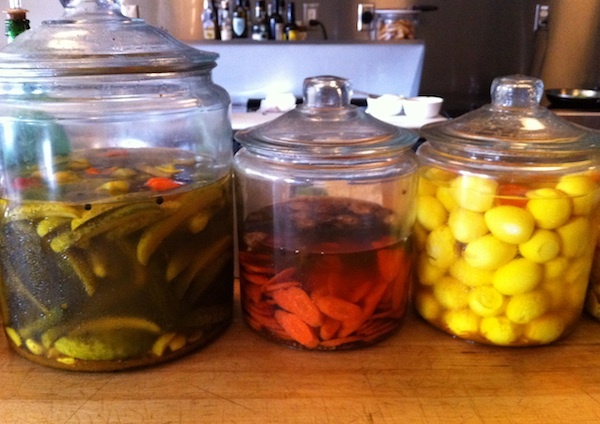 Fermentation fever has spread through the Portland food scene with the vengeance of a toddler's cold, and you can find a rainbow of jars and crocks of slowly pickling vegetables in almost every pantry cupboard in the city. One of Portland's most eclectic cultural organizations, the Dill Pickle Club, is celebrating its namesake with the 2nd Annual Perfect Pickle Challenge to raise funds for the club's activities. A dozen of the city's top chefs were given the same ingredients—12.5 lbs of organic cucumbers—to create small batch pickles to sell on behalf of the organization at the event on Monday, Feb. 6. Some of the club's planned activities for 2012 include a lecture series on filmmaking in Portland, six tours, the publication of 3 City Works Poster Series, the box set of Oregon History Comics and a youth video program examining issues of displacement in North and Northeast Portland. So make preparations to come on down and get your pickle on! Details: 2nd Annual Perfect Pickle Challenge to benefit the Dill Pickle Club. 6 pm-midnight; $10 admission. Event at Holocene, 1001 SE Morrison on the corner of SE 10th and Morrison. Biodynamic farming is defined as "a unified approach to agriculture that relates the ecology of the farm-organism to that of the entire cosmos." Which can seem pretty far-fetched (or even dangerous) in our age of genetically modified crops, corporate agriculture and factory farming. But it's definitely seeing a resurgence among small farmers dedicated to the stewardship of their land and getting back in tune with the cycles of nature. Confirmation that it's a theory whose time has come is when it starts showing up in back yards around the country, and Portland Nursery is riding the crest of the wave this February with a series of classes on how to use this method at home. Led by writer and biodynamic gardening lecturer Beth Wieting, the series will cover everything from how to get started to composting, sprays and planting by the moon. 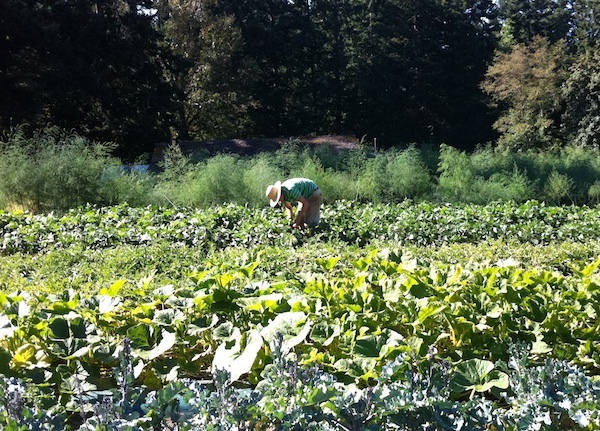 Details: Biodynamic Gardening Series with Beth Wieting. Feb. 4: Intro to Biodynamic Gardening; Feb. 11: Biodynamic Composting; Feb. 18: Biodynamic Sprays; Feb. 25: Moon Planting Calendars. All classes 11 am-12:30 pm; free with registration online. Portland Nursery on Division, 9000 SE Division St. 503-788-9000.